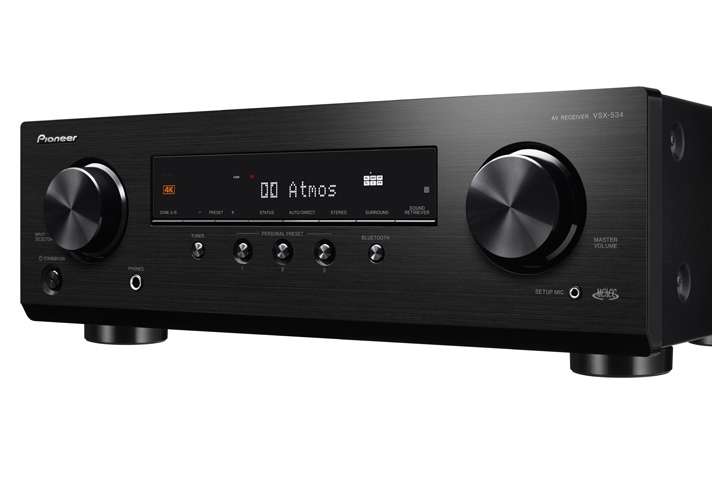 All HDMI connections on the AV receivers support 4K/60p, 4:4:4, 24-bit video pass-through, and the HDCP 2.2 digital copy-protection standard for playback of premium content. Video with HDR*3 (High Dynamic Range) in HDR10, HLG (Hybrid Log-Gamma), or Dolby Vision™ formats is passed through to a compatible display. Further, video with BT.2020 color space for spectacular color performance is supported. Super Resolution, which is a 4K upscaling technology particularly suited to HD sources, is also included. • For DTS patents, see http://patents.dts.com. Manufactured under license from DTS, Inc. DTS, the Symbol, DTS and the Symbol together, DTS:X, Virtual:X, Play-Fi, the DTS:X logo, the DTS Play-Fi logo, and the DTS Virtual:X logo are registered trademarks or trademarks of DTS, Inc. in the United States and/or other countries. © DTS, Inc. All Rights Reserved.